Cassandra Clare certainly does not disappoint. The first sentence already gripped me tight and pulled me back into the Shadow World. Lord of Shadows is packed full of action, witty remarks, and cliffhangers. I would not expect any less from Clare! The character development was spot on. Especially Kit's. Originally, his intentions was to run away from the Institute and return to his previous life, but the relationships he built with the Blackthorns made him hesitate. I loved how he began to warm up to the life as a Shadowhunter. Also, his friendship with Ty is so sweet, I think Kit is the one of the few people who actually understand him. I would not be surprised if they became parabatai. I hope to see more of their friendship in the next book. It was also quite funny how in this book, there is also quite a few mentions to mundane lifestyle, especially with Kit and his mundane references/knowledge. Mark, Kieran and Cristina dance around each other so much that it makes me dizzy and exasperated. Mark and Kieran are definitely a thing - they still have feelings (however confusing and on/off) for each other, and Cristina is like the third person in the equation. Both Mark and Kieran show feelings romantic? Platonic?) for Cristina, which makes it seem like it's leaning towards polyamory. But then there's Diego and his relationship with Cristina. The romance in this book is so confusing and complicated. The plot was a roller coaster. I was never bored reading the book, every moment was exciting and intriguing. This trilogy is more focused on the Fae, a previously Downworlder group that was often shied away from. The way the Cohort (basically a group of racist Shadowhunters) acts towards Downworlders is unsurprisingly familiar compared to our world, and I'm scared to see what will happen next, especially since it seems that they are gaining popularity and support from other Shadowhunters, *spoiler alert* or most certainly will gain support after Annabel killed Robert. Just imagine the chaos and spurred hatred that Shadowhunters would act on, making the Cohort even more powerful! *end spoiler* I mean, there are extreme ideas concerning the Downworlders suggested by the Cohort, which actually mirrors how some people view others in our world. It's scary, but sadly, quite common. I also want to praise Cassandra Clare for the diversity in her books. In this book, we find out more about Diana's history, and that *spoiler alert* she is actually transgender. *spoiler over* The more diversity, the better! I think it's good that authors are including more LGBTQ+ characters in their books, because representation is important. 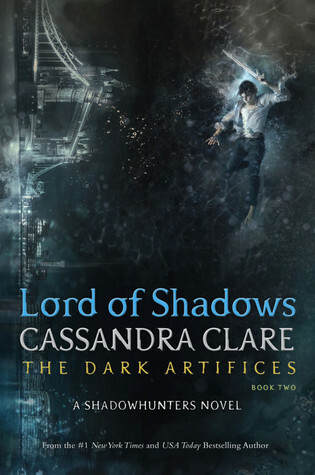 Also, Alec and Magnus play a larger part in this book, and I loved reading about the Lightwood-Bane family. So cute!